CALHOUN, GA—Admitting that he certainly likes the son of God but “doesn’t exactly love the guy, per se,” self-described casual Christian Brian Neely disclosed Monday that he accepts Jesus Christ as his lord but not his savior. 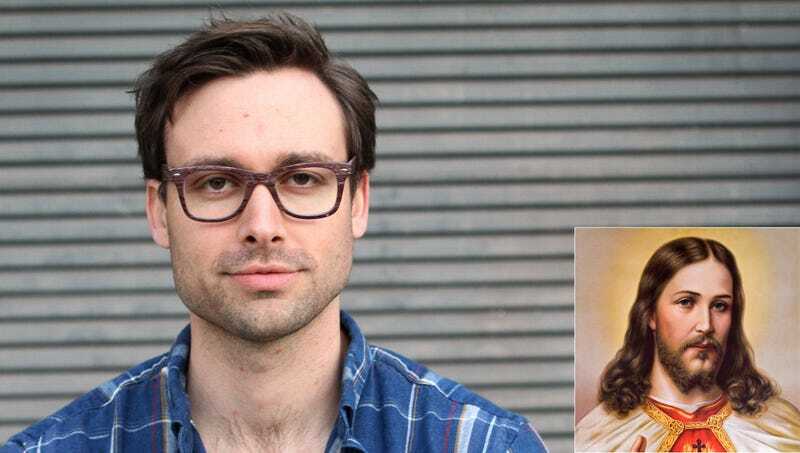 “Listen, I know Jesus is the King of Kings, but I’m pretty sure I can deliver my own soul from eternal peril and reconcile myself with God the Father just fine on my own,” said Neely, 35, who was raised Catholic and was taught to look into his own heart, but who “would never in a million years ask for help entering into the Kingdom of Heaven.” “Don’t get me wrong, Christ’s undying love and eternal wisdom guide me in my never-ending quest to lead an honest life, a life that reflects His values and teachings, but rescue us from the wages of all sin? I don’t care who your dad is, that’s a lot to ask from anyone.” Neely added that, while he finds God to be good, he is personally still on the fence as to whether He is, in fact, great.